Soda firing is the third major type of atmospheric firing. Soda firing is a fairly recent way of changing work in the kiln via the atmosphere. It was developed in the 1970’s because it was thought to be a safer way of adding sodium to a kiln then the more historic method of throwing salt into it. For both soda ash (Na2CO3) AND salt (NaCl) the sodium molecule breaks away due to the heat in the kiln to coat everything – kiln shelves, ceramic work, bricks, et. - with a layer of soda glass. The effects of this soda glass coating can be a pretty wide range depending on the type of clay used and the amount of soda put into the kiln. Carolanne Currier is a master at soda firing and probably has the most dramatic and built up surface of soda out of any ceramicist I know. Where many potters use around 5 lbs. of soda in a firing to accent their glazes and clays, Carolanne uses 4 or 5 times that amount. This soda vapor reacts to her specific clay body with beautiful halos (colored areas around the pieces of sand in her clay, a dimpled and glossy surface, flashes of oranges and reds, and streaks of black from reducing the oxygen in the kiln at the right time. 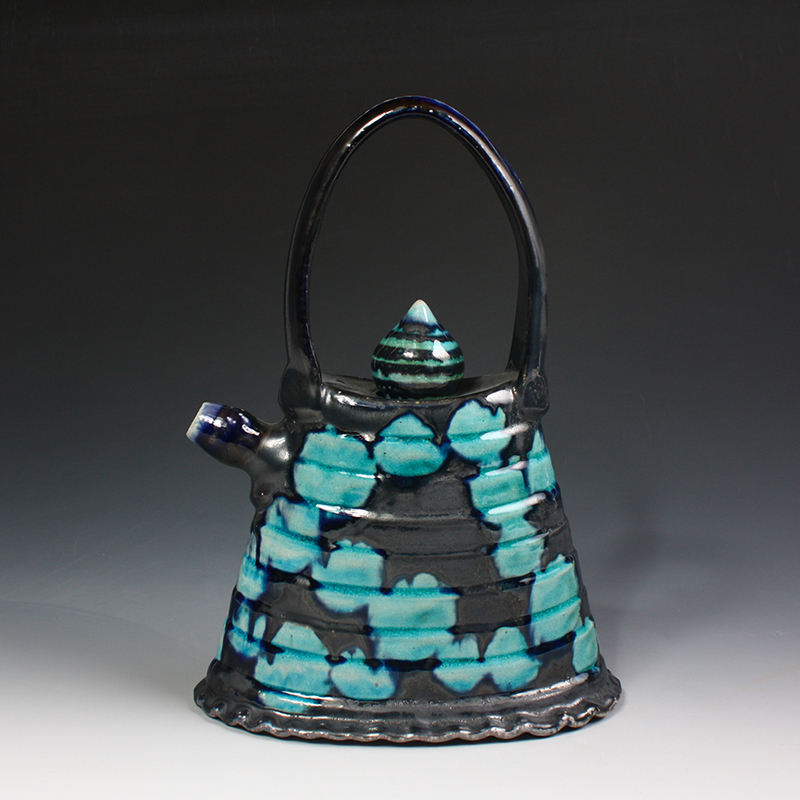 She has created a body of work that pushes hard against how far one can go with using soda vapor as the main decorative element on ceramics with exquisite results. 1) Typically, the soda adds a much softer texture to the glazed surface then salt does – very small softened bumps similar to human skin as opposed to the orange peel surface of salt.